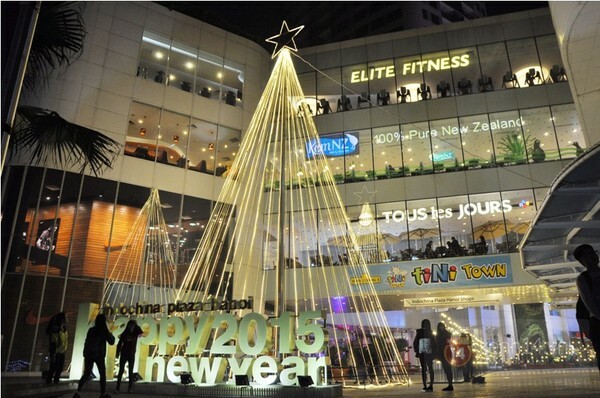 There are some days left before New Year 2015, center streets, shops, trade centers, etc. 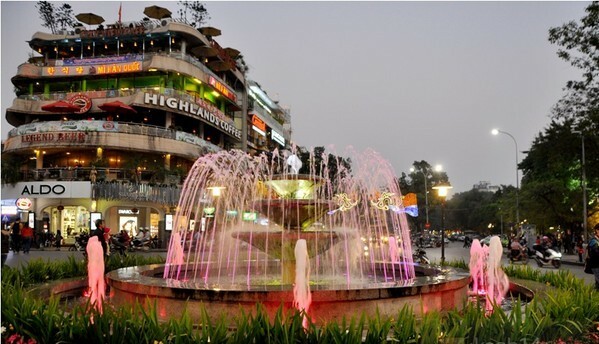 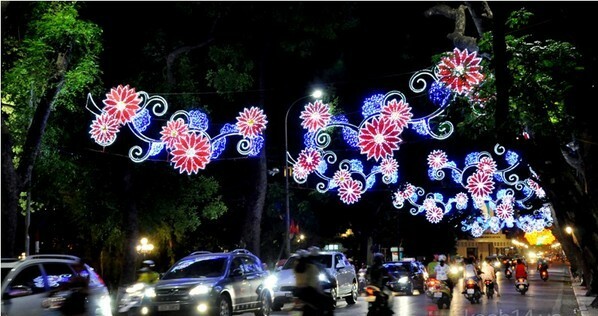 of Hanoi are colorfully decorated, especially by night. 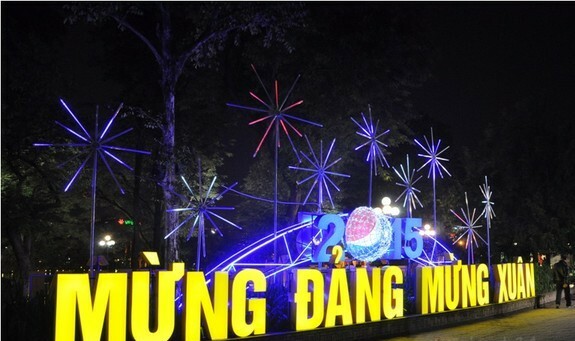 In recent days, Dong Kinh Nghia Thuc square (Hoan Kiem, Hanoi) is always decorated with colorful lights and flowers to welcome New Year 2015. 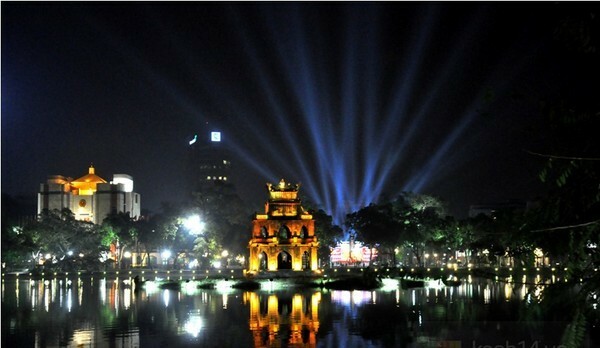 The area surrounding Hoan Kiem lake is lighted up with thousands of colorful lights together with fanciful Turtle Tower. 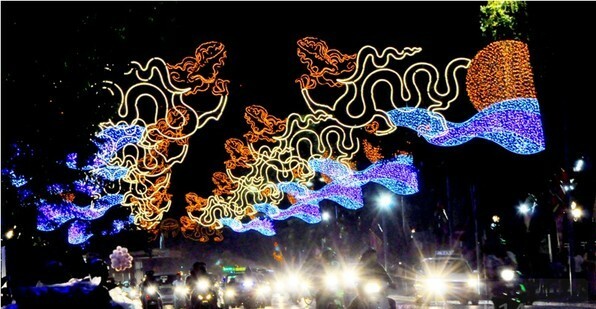 Many streets in the city center were decorated with shimmering symbols attached to Hanoi of thousand years of civilization. 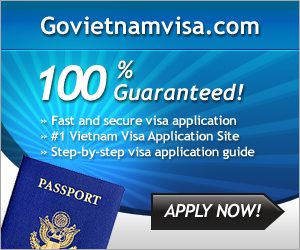 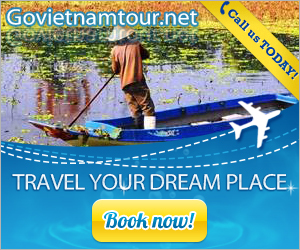 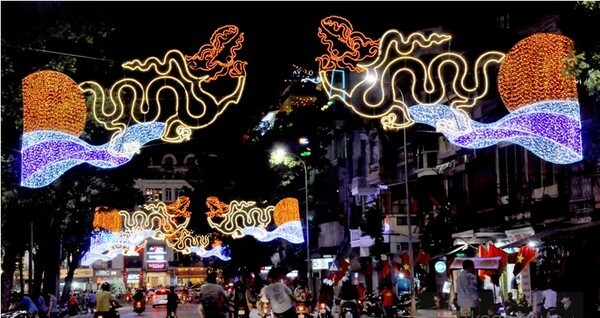 Dinh Tien Hoang street is noticed thank to shimmering dragons. 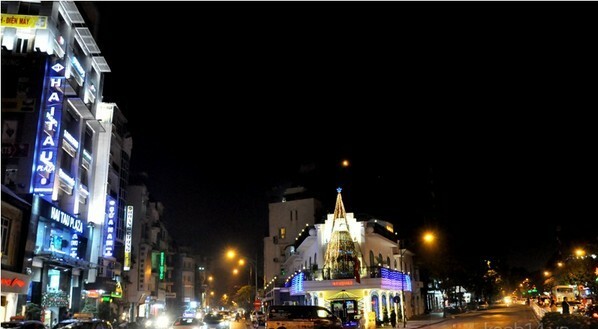 Hang Khay street was decorated with colorful flowers. 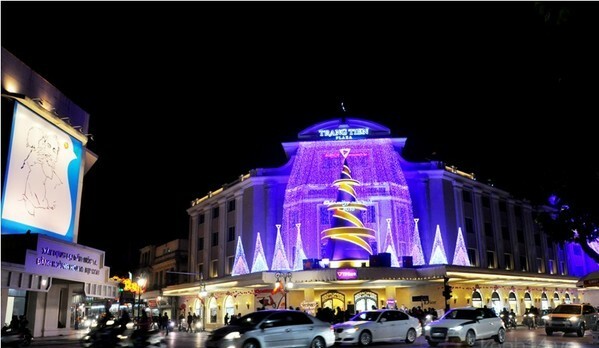 Especially, on occasion of Tet holiday 2015, a part of Dien Bien Phu street will be carefully decorated and becomes as the most sparkling street in Hanoi. 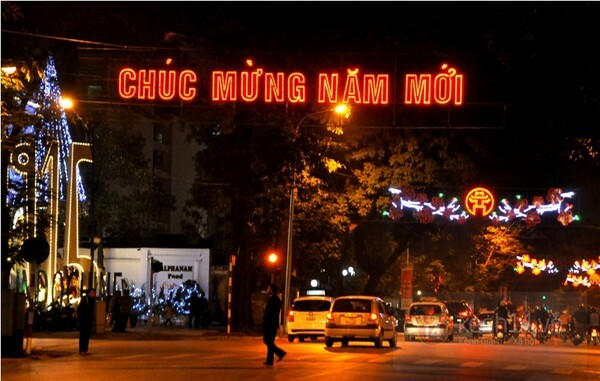 Ba Trieu street is decorated with words: “Happy New Year”. 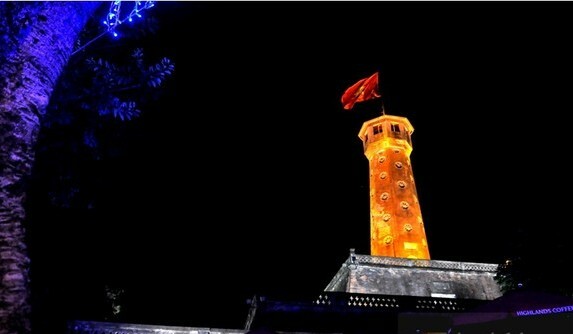 In this occasion, Hanoi organizes a lot of interesting performances. 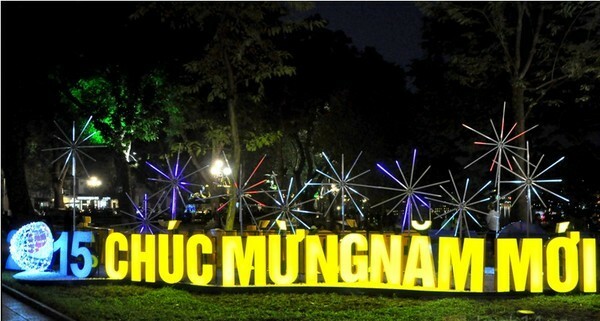 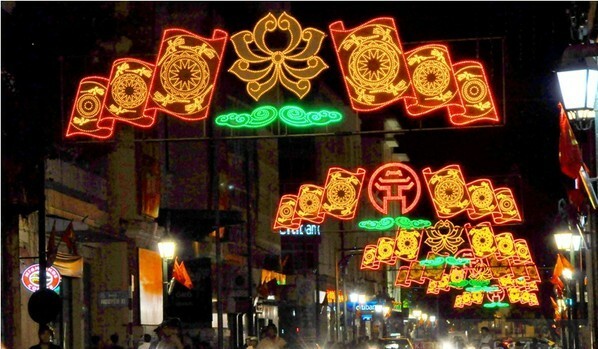 An urban area in Cau Giay (Hanoi) is also decorated with different items for the new year.